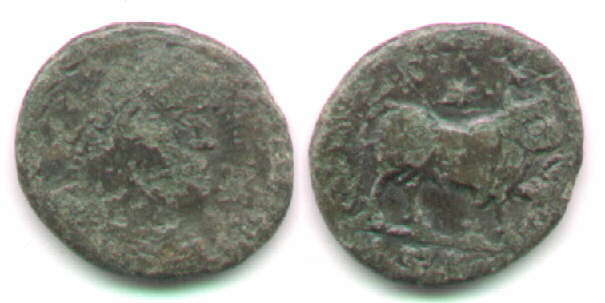 Julian II (Caesar 355-360, Augustus 360-363) issued a famous large AE1 "bull" type 361-363. The official pieces (see the image) measure about 27 to 29 mm. Crude imitations were issued with a smaller module. According to Bastien (ANSMN 1985, p. 156), "imitations of this type are relatively rare." An unusually large full-sized imitation. Reasonably good style. Letter like forms make a nearly-recognizable legend. Prototype: RIC Constantinople 162, plate 23. References: Boon --. Bastien ANSMN 1985 #50-51, plate 44. Prototype: Sear 4072. RIC Lugdunum 236, plate 6, and others, including this prototype illustrated above, RIC Sirmium 106 struck "Summer 361- 26 June 363." 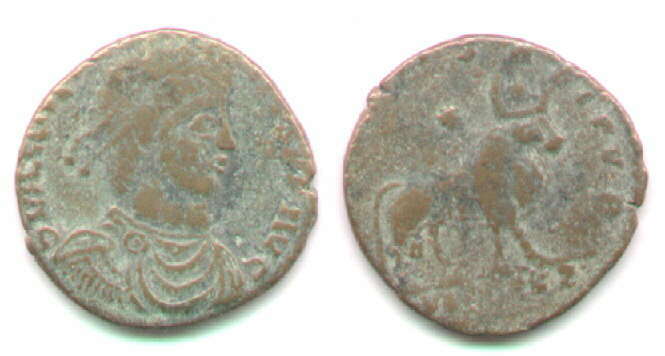 Continue with the page on imitations of Valentinian I and later. Go back to the pages on FEL TEMP REPARATIO imitations. 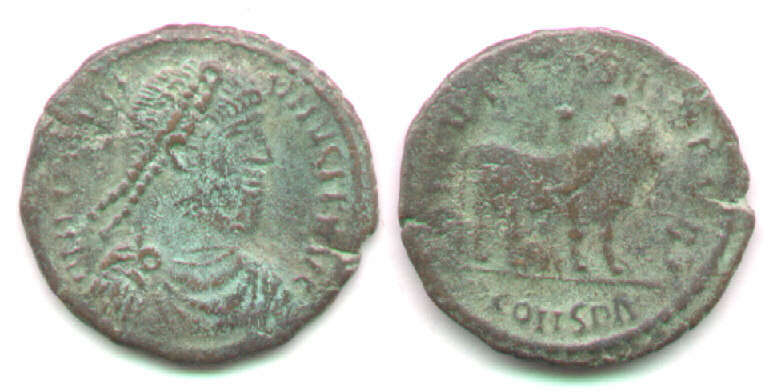 Return to the main page on imitations of Roman coins.